Oh...did you think I'm talking the team in Pittsburgh. They're a great team..but my rooting for the Red Wings get in the way of my liking them. No...I'm talking about these penguins. 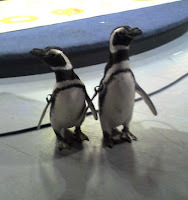 They're visiting the Blend set from SeaWorld Orlando to do a segment for tomorrow. 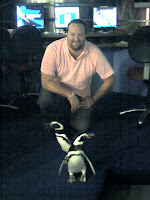 Penguins explore the Fox 4 studio from Cory O'Donnell on Vimeo. 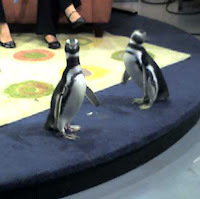 Penguins explore the FOX 4 Weather Center from Cory O'Donnell on Vimeo. I've always wanted to read this book...but it's really hard to find in a library. Not sure why...not like it's The Anarchist Cookbook. Anyway, I searched for it @ the local library system. Nothing. Thanks to Scribd...I can download the entire book for free. Awesome. 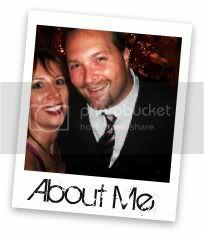 You can too..and I made it easy. Below is the embed of the entire document. In order to download, you'll need to sign up for a free account...or use your existing OpenID account. How to Read a Person Like a Book James Blunt A book on deciphering body language. Quite an interesting read. I had forgotten that he did a tour of all the NBC affiliates in the nation..perfect time to shoot all the shots for this.